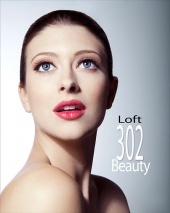 I'm a P/T freelance makeup artist located in Winooski, VT. I specialize in makeup for bridal/beauty and commercial print. I would like to continue to build my MUA portfolio with anything that challenges me to enhance my skills. I can do bruises, cuts, burns, some facial hair, and limited body painting. I use a range of professional products, to include MAC, Kett, Kryolan, Clinique, Makeup Forever, Naked Cosmetics and Ben Nye. I also have silicone and hydro based makeup foundations available for airbrush application. My basic photo shoot rates are very reasonable and based upon the assignment, starting with a $20 kit fee (includes 2 looks). If the photo shoot will be out of the Burlington, VT area, I will request that gas expenses be reimbursed. Please provide me the courtesy of a 24-hour cancellation notice, with the exception of unforeseen/emergent circumstances. I'm no longer doing weddings. I'm willing to work for TFP/TFCD to build upon my portfolio. I'm also looking to experiment with some body painting (nothing too elaborate)...if you are interested and have a photographer lined up shoot me a message. *I will not work with a photographer who does not give proper credit to the model and/or makeup artist on their MM portfolio. I always make it a point to give everyone proper credit for the time and effort that goes into a collaboration and would expect the same courtesy in return. Check out photo shoots with TMD Photography! http://www.youtube.com/watch?v=oJFMunS5fqk - Video courtesy of James Germain. Worked with Undercolor? Share your experience and become verified! Lastly, thank you to all of the fantastic models who have graciously allowed me to display my work and practice my skills. Nice work going on there! Hope you're staying warm. Can't say I miss that kind of cold weather. You too! IMATS, lets make it a date! "They call me the fashion phenomenon of the South"
Hey! Thanks for the add. I like your work! I would really like to talk to you about your body painting project you mentioned in your profile. I am also very interested in the subject. I'll shoot you a message =) Maybe we can work together soon!